8 things you need to know before coming to Vegas! 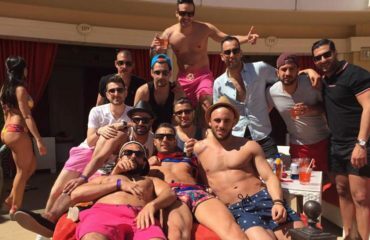 There are many suggestion and token bits of advice we see around the web for visiting Vegas and while some are true for all visits others simply do not apply to a London 2 Vegas trip. Below we have put together what we think are eight great essentials things we would tell any of our clients before they set out to Las Vegas. This especially goes out to the the lads that are planning a stag or just a general trip with the boys, we strongly advise you to have a good itinerary set up before you get on that plane. These clubs and pool parties do sell out so it is best to make some reservations before you arrive, that way you have peace of mind knowing you are not going to be stuck at the entrance of a sold out club because you left it too late! Vegas, unfortunately is the home to the hustler and con-artist. Everyone and his grandmother will have a ‘special deal’ they can offer you in this town. 90% of the time if it sounds too good to be true….it is! Be careful of anyone that offers you ‘VIP’ nightclub passes or VIP tables in the street, stay away! It is always best to ask a trusted source for advice and recommendations. Us Brits are used to tipping when we feel the service we have we have received is worthy of an extra few quid. Here is Vegas, the mindset is completely different. So, taxi drivers, Valet, the bellman at your hotel, waiters/resses, barmen and security to name a few. You will most likely find the level of service you receive here is exceptional and worth of an extra few dollars here and there. This town is service industry town so most of these people rely solely on tips as their main source of income. Table Service or General Admission? Every nightclub and pool party here in Vegas can give their patrons the option of two choices, get VIP bottle service or general admission and get drinks at the bar. The common misconception that we find from Vegas virgins is that table service is going to be way too expensive. With some situations this can be the case (especially is there is 2-3 of you), however with a decent sized group, after you take into consideration the average price of a drink at the bar + your entry fee + the drinks you are buying for the blonde that you want to take home….. it can actually work out a lot easier and more cost effective getting a table with a couple of bottles to last you the night. When we first moved to Vegas, we thought every hotel was just a 5-10min walk way…it’s not! The Strip is four miles long, and because the buildings are so close together, they appear closer than they really are—a two building walk from, say, Bally’s to Planet Hollywood is manageable, but any more than that, and you’ll wear out your walking shoes. So always best to get a taxi, if there is a large group of you it’s worth getting a limo, they are really not that expensive once split between everyone. Coming on a Holiday Weekend? There are numerous holiday weekends here in Vegas, Memorial Day Weekend, Labor Day Weekend, Independence Day Weekend to name a few… This mean 2 things, Vegas will be even busier and hotels and clubs will be slightly more expensive. If you are planning your Vegas trip in the Summer, try and stay away from these weekends, the reason we suggest this is, during April-September, Vegas is busy and crazy no matter what the weekend. Trust us, you will have an amazing time regardless of when you come! Just Bring your shorts, wallet & ID to the pools. Upon entering every pool you will notice there is a security check point. You are required to literally empty everything from your pockets, if you have a bag you will have to check this in. Whether it’s eye drops, pain killers or a bottle of water, this will all be confiscated. So we advise all our groups to simply come with as little as possible. Another thing we recommend is to just have a couple of members of your group bring their phone, that way there is a lot less chance of everyone losing their phone or dropping it in the water and creating an inevitable nightmare!